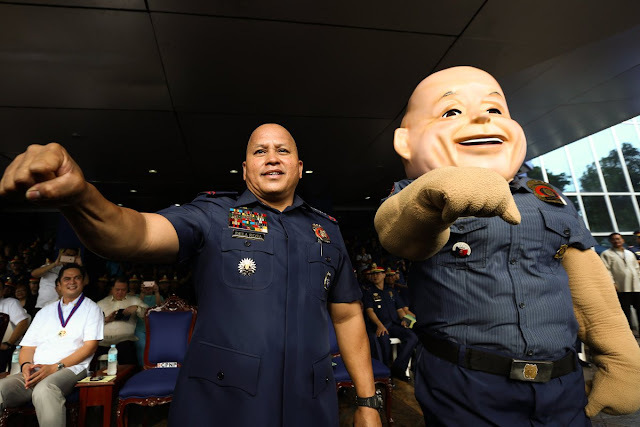 Philippine National Police chief Director General Ronald "Bato" dela Rosa toughly expressed that he is willing to face charges on the plight of President Rodrigo Duterte's drug war after his retirement. He said that he is willing to "sink or swim with my President," after admitting his owe to the president for giving the highest position as Chief PNP and trusting him to head the premiere focused of the administration OPLAN TOKHANG to crack down illegal drug trade. He served as PNP chief of the Davao City Police and was executive officer of the Directorate for Human Resource and Doctrine Development. "I'm going back home in Davao to relax and sleep (Uwi akong Davao, mag-relax lang, tulog)" Dela Rosa said.